MakerBot is a new initiative to put 3D printers into every American school. 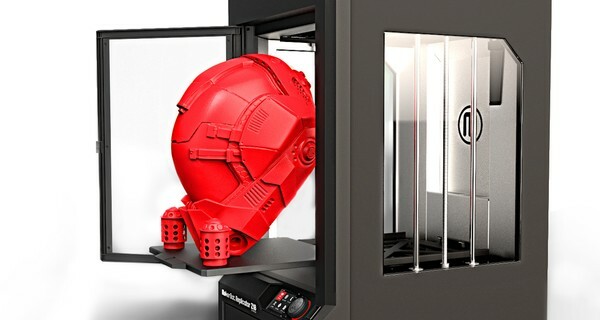 With customary dotcom ambition, MakerBot Academy launched on November 2013 and aims to get the entire 100,000-strong US school network connected to the machines by the end of 2014. It’s already supplied 1,000, with MakerBot itself pledging the printers to every school in its own neighbourhood, of Brooklyn. ‘We want [American] students to be ready for the future. We have one core mission: empower the next generation,’ said Pettis. MakerBot Academy raises money on crowdfunding platform DonorsChoose, where you can select which school you want your money to go towards. Each bundle costs $2,350 and consists of a Replicator 2 desktop 3D printer, non-toxic filaments and a protection plan. Students can also upload and share their own designs. 3D printing stimulates an interest in and develops children’s maths, literacy and problem solving skills: areas in which US education lags behind most OECD countries.